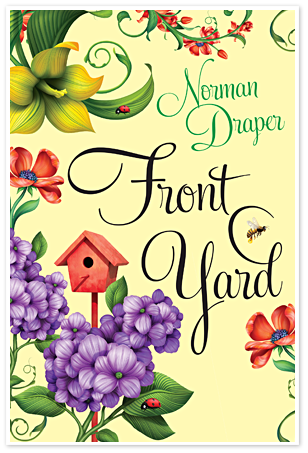 In the sequel to Backyard, merlot-tippling gardeners extraordinaire George and Nan Fremont are back, ready and willing to exercise their green thumbs on their long-neglected front yard. It’s a new planting season, and the signs seem propitious. The backyard continues to flourish in ways that put the rest of suburban Livia’s gardeners to shame. The horticultural nutcases who did their darnedest to thwart the Fremonts’ quest for gardening perfection have been humbled by defeat into milquetoasty meekness. Plus, the Fremonts now have a secret weapon—their intern, Shirelle—whose formidable skill with the Fremont flowers is second only to Nan’s. But trouble’s always lurking behind the the nearest hydrangea bush. Shirelle’s college advisor, Dr. Brockheimer, is determined to achieve academic glory by prying loose the secret of the Fremonts’ success. Miss Price, Livia’s resident historian, is showing an unnatural interest in the Fremont property in general, and one tree in particular. Neighborhood treasure hunter Jim Graybill returns with his metal detector, pestering the Fremonts to let him unearth the secret that lies buried beneath all those wondrous flowers, vines and shrubs. And an old nemesis is back with a score to settle. With their family finances in shambles, it’ll take all the gardening magic and Sagelands vintage ’07 the Fremonts can muster to make sure everything keeps coming up roses.